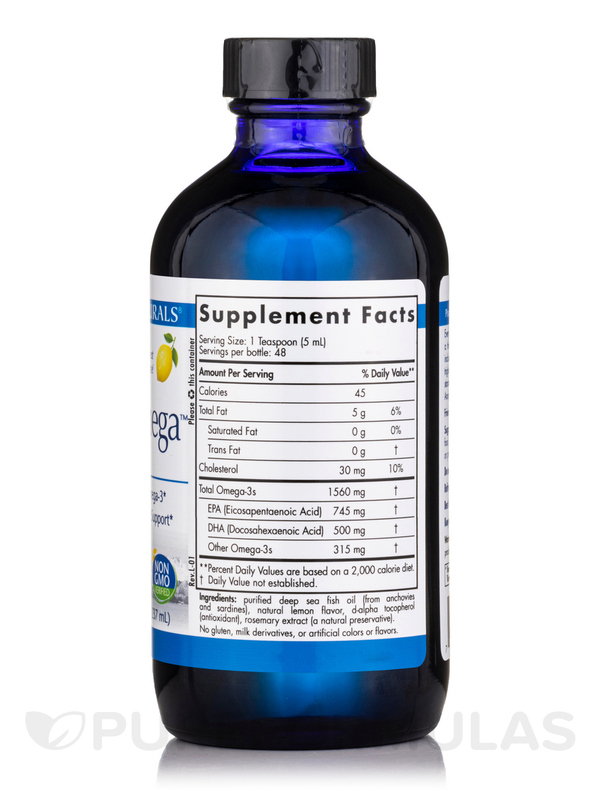 This Arctic Omega, Lemon Flavor by Nordic Naturals is the best tasting Omega! Artic Omega by Nordic Naturals is everything I'm looking for to enhance my physical and mental performance. My naturopath recommends this Arctic Omega, Lemon Flavor by Nordic Naturals for me. I don't find it unpleasant tasting. Your body needs essential omega-3 fatty acids to reduce inflammation and protect your heart and brain. What makes dietary intake of omega-3s essential is the fact that your body needs them‚ but can’t produce them. It’s one of the three major types of essential fatty acids (EFAs) that you require for optimal health and performance‚ but is the most well-known. You can normally get omega-3s from eating a diet high in fatty fish‚ nuts‚ and seeds. However‚ if you don’t like the taste of fish or often skip meals‚ your intake may not be sufficient. 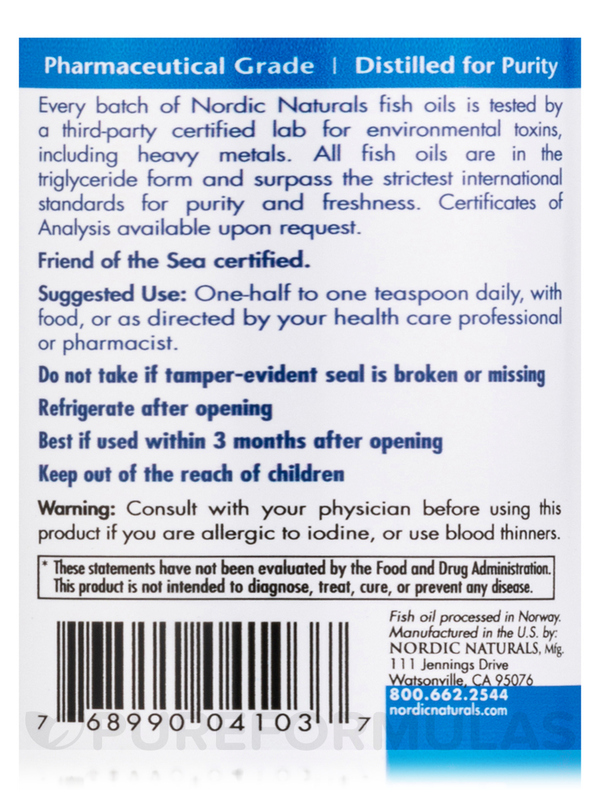 Nordic Naturals’ Arctic Omega is a supplement that provides a convenient way to boost your omega-3 fatty acid intake. In addition to the aforementioned protective benefits‚ omega-3 fatty acids may also improve joint health and improve the appearance of your skin. Rosemary extract‚ which has natural anti-inflammatory properties. EPA &amp; DHA‚ the two elements of omega-3 fatty acid that are needed to maintain many bodily functions. Vitamin E‚ a nutrient needed to treat and prevent many conditions and disorders. One bottle of Arctic Omega by Nordic Naturals contains 8 ounces‚ and should last for at least 48 days at the recommended dosage of ½ to one teaspoon daily with food. Ingredients: Purified deep sea fish oil (from anchovies and sardines)‚ natural lemon flavor‚ d-alpha tocopherol‚ rosemary extract (a natural preservative). One-half to one tea spoon daily‚ with food‚ or as directed by your help care professional or pharmacist. 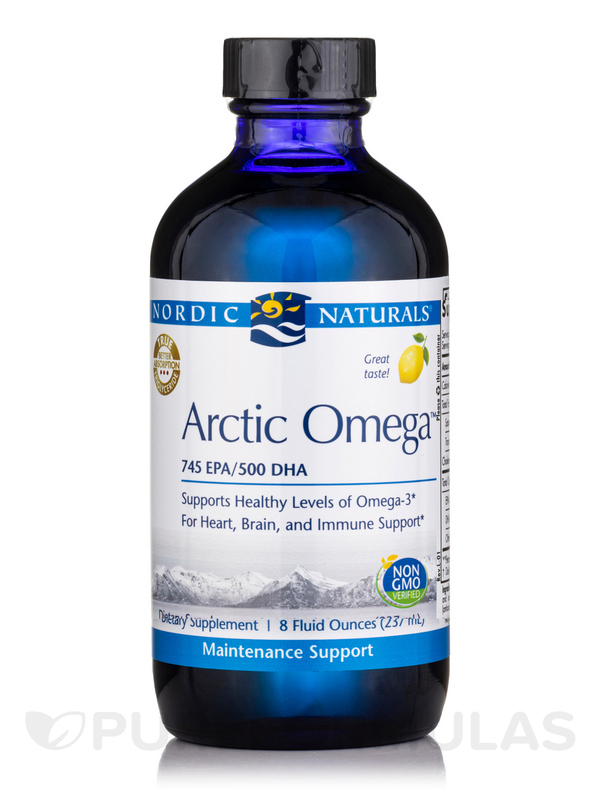 Arctic Omega, Lemon Flavor by Nordic Naturals is a great fish oil for a boost in EPA/DHA. 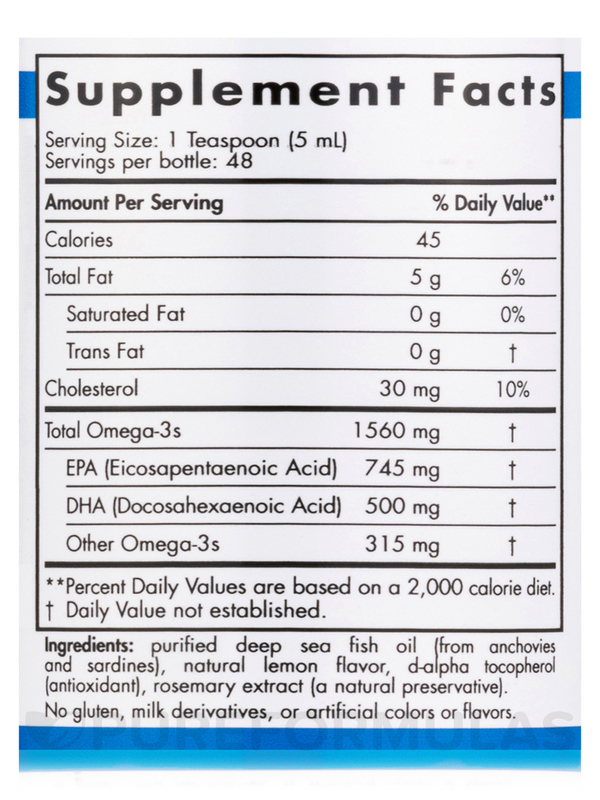 Most fish oils are much lower in potency and the price reflects that. I was taking the capsules but really ended up loving Arctic Omega by Nordic Naturals. It's two less pills to swallow each day. Plus the taste is light and lemony. No fishy taste. I was so surprised! We use Arctic Omega by Nordic Naturals for us and kids. Small Bottle need bigger bottle. This is the second time I have ordered from here and both times it has come when it is supposed to. This Arctic™ Omega, Lemon Flavor by Nordic Naturals is a quality product recommended by my doctor. I prefer the flavor of Arctic Omega, Lemon by Nordic Naturals over the Nordic Naturals Cod Liver Oil, and my son tolerates it better too. Thanks for providing a product I can trust! I tried Arctic Omega by Nordic Naturals because I understood from my doctor that fish oil would help with arthritis and blood pressure. I find that it does help both. Pleasant taste, no strong fishy taste. I think that Artic Omega, Lemon Flavor by Nordic Naturals is good. The only problem I had was that the website stated that total omegas-3s was 1725 mg per teaspoon but the bottle I received had only 1600 mg per teaspoon. I would have ordered another product with the amount I wanted.